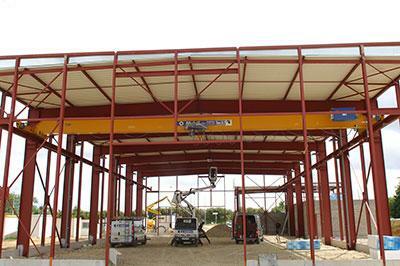 AMIO LEVAGE, Tiltiniai kranai, Kranas, gembinis, Hoisting and handling equipment, EUROPAGES. 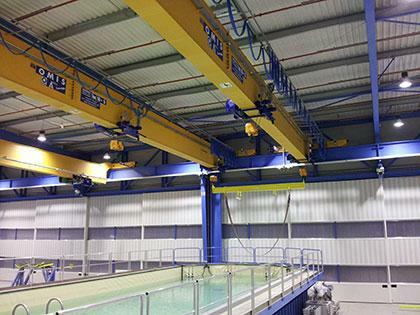 The company AMIO based in ANCENIS (44), offers you a full range of lifting equipment, whose capacities go from a few kilos to more than 120 T. AMIO distributes gantry cranes, travelling cranes, OMIS/AMIOLEVAGE semi-gantry cranes, DONATI, STAHL, MISIA chain- or electrically-driven truck winches, DONATI wall- or drum-mounted hoist cranes, ERIKKILA light mechanical handling and IKUSI radio-control units. With the help of its engineering office, AMIO will build your spreaders, be they with suction pads or electromagnets, and also mechanical handling tools specifically designed for your use. Our technicians, who are all certified as lifting apparatus inspectors carry out our installation and maintenance services on lifting appliances. 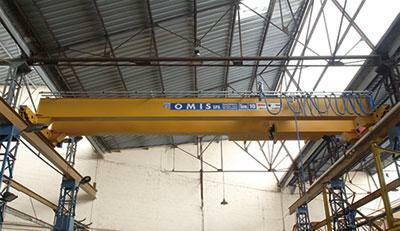 Nearly 300 OMIS/AMIOLEVAGE overhead cranes have been installed in the Brittany and Pays de Loire region since 2008.